Start your journey by learning the poker rules. Poker is an amazing, and very broad term given to a variety of card games. Each of these poker games has different rules, hand rankings, and even procedures of how to play. Knowing these general rules of poker, combined with in-depth descriptions of each, will be really helpful when you want to find the right poker game and play it right. Read the rules and practice what you have learned, and then you can give the casinos, or other players’, money for a run. Here are the poker rules for Casino Holdem, Caribbean Stud, Pai Gow, Tri Card, Let Em Ride, and Caribbean Holdem; you can also get a refresher course on the Texas Hold’Em poker rules. These are some of the more popular poker variants you will find at any online casino, which is why it is good to know what the basic rules are for them. 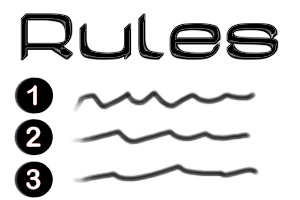 Don’t get caught up by what the length of the poker rules, since they are quite simple to learn and understand. No Limit: these poker games have no limit on betting. Players can bet and raise by any amount, adhering to the total amount of chips they have in their possession at the time. This can be done when it is their turn to bet in any given round. Pot Limit: during these poker games, players can bet and raise by any amount, limited only to the total size of the pot during the given betting round and turn. Fixed Limit: during these poker games, players will only be able to call, bet, or raise up to the table maximum, which is set beforehand. Spread Limit: during these poker games, players can bet and raise any amount within a given range. Mixed Limit: during these poker games, players will switch between a No Limit and Limit betting structure. As you become more familiar with these poker rules and variants, you can try your luck and skill at all of the others that can be found online, and use this knowledge as a base. If you have any questions on poker game rules, please contact us. And don’t forget, have fun!